A well designed and properly maintained system of transportation infrastructure improves safety, makes a community more livable, and makes for a smoother commute. Additionally, transportation infrastructure forms the first impression of a city/county and boosts business output. Unfortunately, transportation infrastructure isn’t as simple as it used to be. Though local governments are still eager to get shovels in the ground, today’s building process requires significant environmental approvals, public participation, capital improvement planning, grant applications, traffic engineering, utility coordination and construction management. 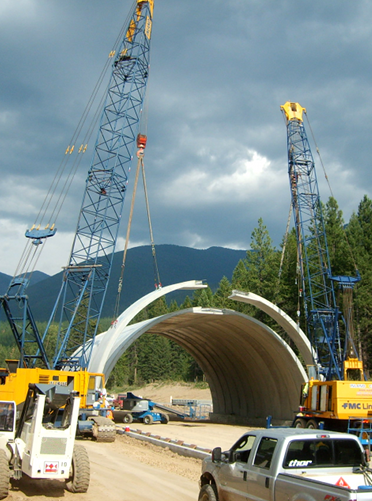 At Great West Engineering, we aren’t simply a department of civil engineers, we are experienced with all aspects of the planning and design of transportation facilities. Our dedicated team is interested in forming long term partnerships with local governments to fully understand area needs, develop a comprehensive plan and oversee the construction process to ensure that road quality and service life meet the original community vision. Simply put, we are transportation specialists. We pride ourselves on the ability to recognize current and future problems to adequately address them before they result in unneeded project delays and cost increases. We have helped both small and large communities with bridges, roads, and funding for transportation systems. Over $166 million in funding secured for our clients. Thousands of rural transportation solutions designed for small communities and the US Forest Service. Our high quality reports have been used to secure millions in funding for transportation systems. 32 on-call accounts successfully serviced by Great West.